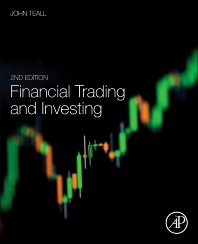 Financial Trading and Investing, Second Edition, delivers the most current information on trading and market microstructure for undergraduate and master’s students. Without demanding a background in econometrics, it explores alternative markets and highlights recent regulatory developments, implementations, institutions and debates. New explanations of controversial trading tactics (and blunders), such as high-frequency trading, dark liquidity pools, fat fingers, insider trading, and flash orders emphasize links between the history of financial regulation and events in financial markets. New sections on valuation and hedging techniques, particularly with respect to fixed income and derivatives markets, accompany updated regulatory information. In addition, new case studies and additional exercises are included on a website that has been revised, expanded and updated. Combining theory and application, the book provides the only up-to-date, practical beginner's introduction to today's investment tools and markets.